Can giving away your product lead to more sales? Etsy sellers are banking on it. The Etsy forums are abuzz with sellers looking to increase exposure in the slow summer months. It seems counter-intuitive that offering free product would make you money, and it’s not uncommon to be on the losing end of this bargain. I threw myself on the giveaway sword, comforted that if it didn’t work, I could at least write about the dismal failure. 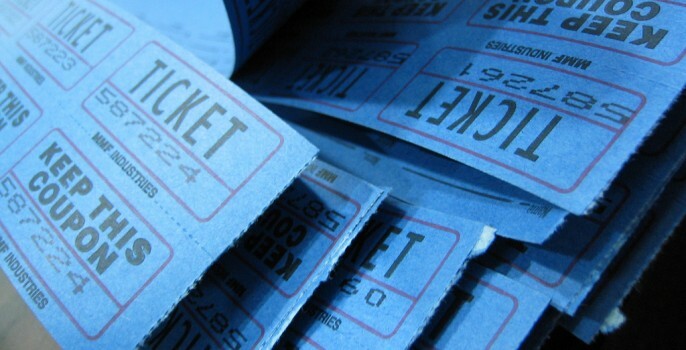 Giveaways, as with any marketing effort, are best served by a specific goal. Effective promotion is done with a purpose. If you want more Facebook fans, how many? If you want more sales, what profit would you consider a success? Narrow the focus of your promotion – it will help you figure out how to do the giveaway and measure whether it worked. My goal, other than learning more about giveaways, was to increase my Etsy shop views by 25% and get feedback about my beaded napkin rings. The napkin rings are a new product that I’ll be taking to craft shows, so I need to know which styles have mass appeal. Who will be doing your giveaway? It’s not uncommon to host your own giveaway – especially if it’s a celebration giveaway, such as your 100th sale or five year blog anniversary. This is a great way to celebrate with your fans and thank them for supporting you. These giveaways are fun and can be run easily without much structure. Put up a post on your blog showing the prize and have people reply to win. 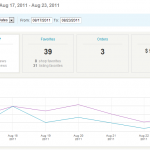 There are giveaway tracking sites that will help you get the word out. Two perennial favorites to submit your giveaway link to are Etsy Giveaways and By Hand Giveaways. Count the replies at the end and use the random number generator at random.org to pick a winner by post number. The most widespread giveaways are done on Facebook by a variety of promoters. Unfortunately, most of these promotions violate Facebook’s Promotions Guidelines. The number one rule is that promotions must be done with Apps for Facebook – that means any promotion done by Facebook wall, post or albums is breaching the guidelines. If you’re a rule follower, you may not want to try a Facebook promotion. It’s unlikely that the Facebook enforcers will come bashing down the door to a good-natured giveaway, but you should be aware of the risk if you choose to go this route. There are countless third-party giveaway sites where you can submit your item. Without prior experience, it’s hard to tell which are reputable. Contacting shops that were formerly featured on the site is a great way to figure out if a site is worthwhile – browse through the past giveaways and send the shops a message. Many of the sites I checked out barely mentioned the Etsy shop that was doing the giveaway. The item was crammed between a free sample of Tide and a discount on a bikini wax. I wanted a site that focused on the Etsy shop itself and helped promote the seller, not just a site with a t-shirt launcher pointed randomly. I did my research and noticed that two sites were coming up again and again. Satisfied participants and word of mouth are a good sign! Etsy Stalker is an “online museum” of Etsy arts and crafts. The curators, Beatrice and Violet, want to help and promote professional artists. The site is a treasure trove of Etsy creations and giveaways are just a small part. The Little Black Box sells a monthly collection of 16-20 samples from handmade businesses. The site has changed hands a few times, but remains true to the handmade promise. The site owners admit that this promotion works best for bath & body items. Online giveaways aren’t the only option, either – you can gain exposure locally by donating an item to a local charity, school or church along with your business card. I met Violet from Etsy Stalker in the Etsy forums when I was seeking out more giveaway information and experiences. After visiting the site and seeing how the curators run an exhibit followed by a giveaway, I wanted in! I was featured in the Finishing Touches: Napkin Rings exhibit on Wednesday, August 17th. The next day, my week-long napkin ring giveaway started in earnest. The post showcased several styles of my napkin rings. Participants visited my Etsy shop and replied to the giveaway with their favorite item. So how did I do? 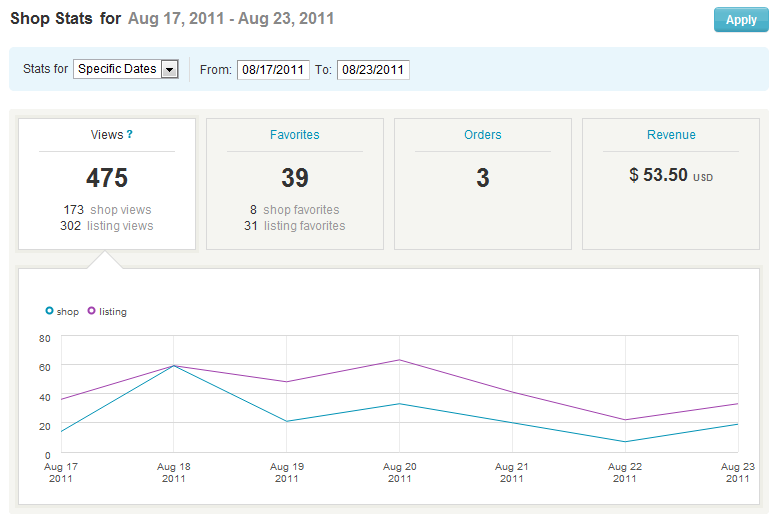 Views in my Etsy shop increased by 53% during the promotional week as compared to the week before. That’s a big jump! The item favorites in my shop more than doubled – one enthusiastic fan loved them all and even hunted down my Facebook page for one more Like. I had three orders, the most I’ve had in a single week. Most importantly, I got over 50 comments on the items in my shop. This directed feedback was invaluable; knowing which items have mass appeal will help me build my supply accordingly for upcoming shows, and have a good idea which napkin rings need to be displayed most prominently. The votes also showed that items on the front page were 40 times as likely to be mentioned as items on the second page. This is either confirmation of the above the fold concept, that high-priority and attention-grabbing items should be placed prominently, or that giveaway participants are lazy. Either way, make sure your shop is organized appropriately before running a giveaway. I had a great experience with my Etsy Stalker giveaway, and the resulting orders and feedback made the experience worth recommending. Share your experience with Etsy giveaways in the comments below! Cover image by Alyson Hurt on Flickr. » Etsy Tips » Do Giveaways Work? I love it when people share their experiences (and not just to complain or vent). Your research and reasoning for the decisions you made as well as the outcome of your experiment is so helpful to someone like me. You have inspired me to try this method when I make my new jewelry line (coming very soon). Thanks for your help and wisdom!! Thanks for this wonderful write up! 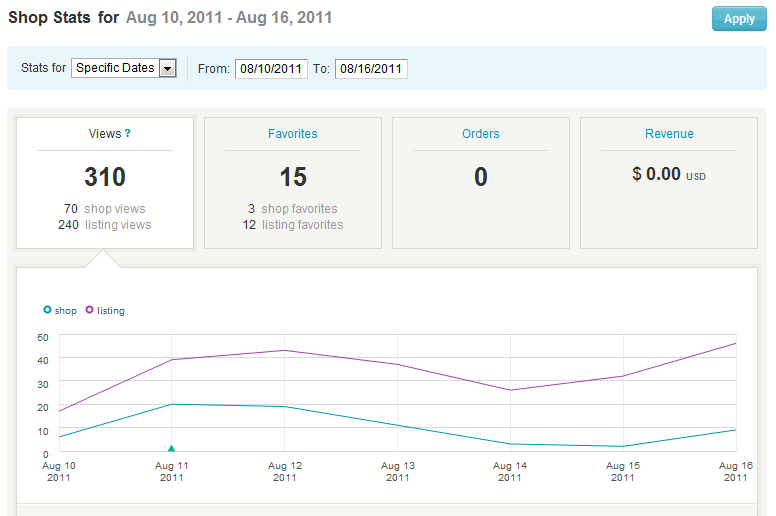 I’m so glad you had a positive experience at Etsy Stalker. We were thrilled to host you and your beautiful creations!